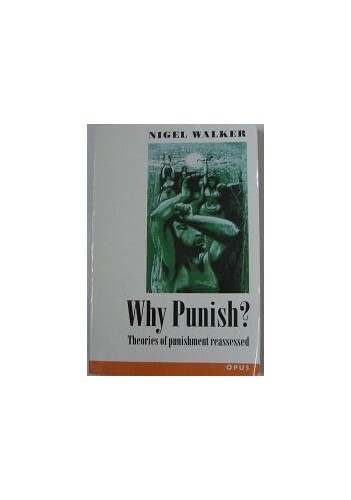 Examining justifications for punishment, this book reviews the classical utilitarian approach as well as the modern retributive theory. The author covers the realities of sentencing together with fundamental concerns, including such aspects as remorse and forgiveness and the humanitarian movement. In this look at justifications for punishment, the author encourages people to take an "amphibian" approach to the issues: to walk on dry land and look at the realities of sentencing and to swim in the deep waters, where moral philosophers lurk, exploring the fundamental concerns. He argues that the modern retributive theory of punishment has not solved the problems of the classical utilitarian approach and has indeed created new ones of its own. Having researched these problems and discussed them with judges, magistrates, jurists, philosophers and prisoners, he distinguishes rhetoric from hard reasoning and shows that attempts at intellectual compromises between utilitarians and retributivists do not stand up to close examination. The book also deals with aspects normally left to theologians, such as remorse and forgiveness, and with the humanitarian movement.